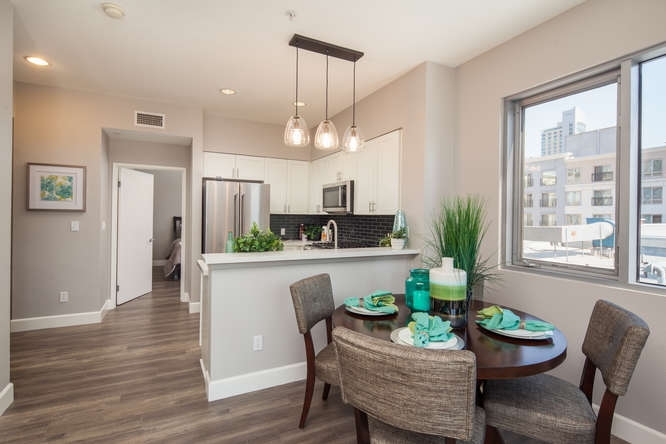 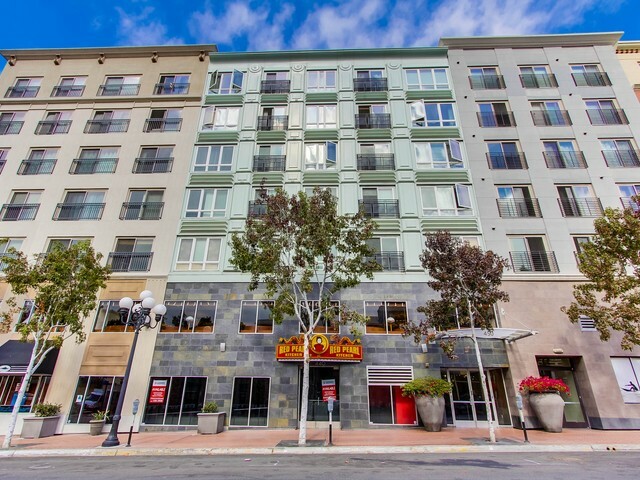 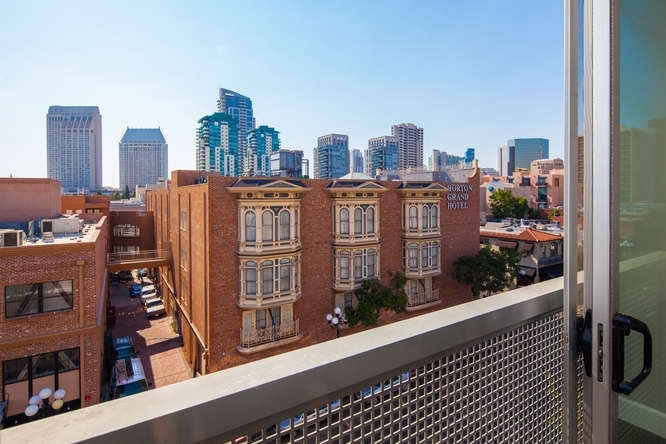 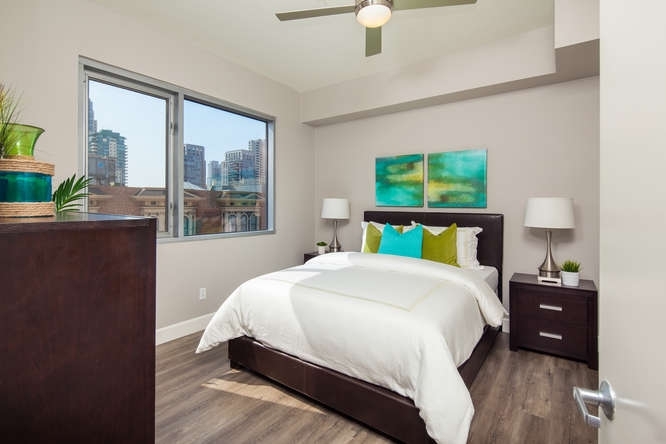 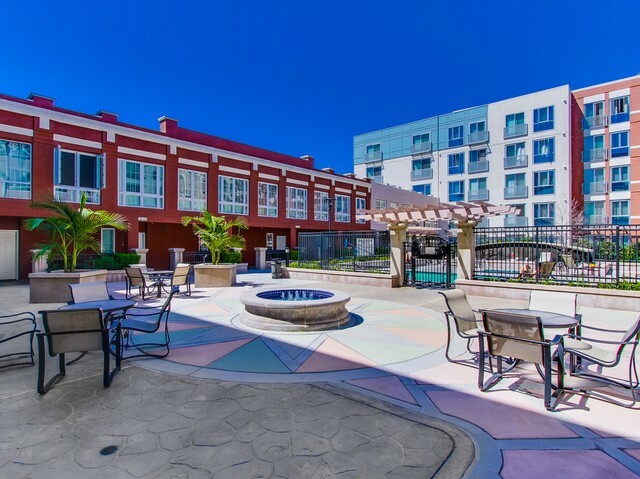 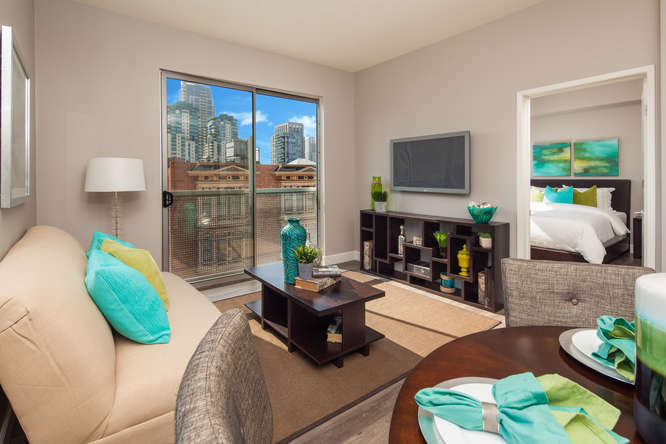 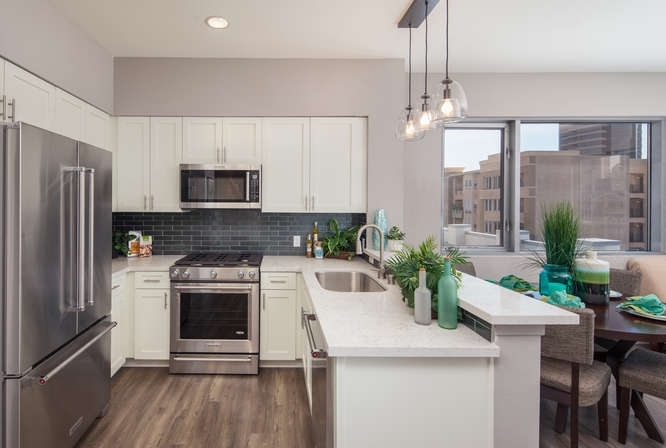 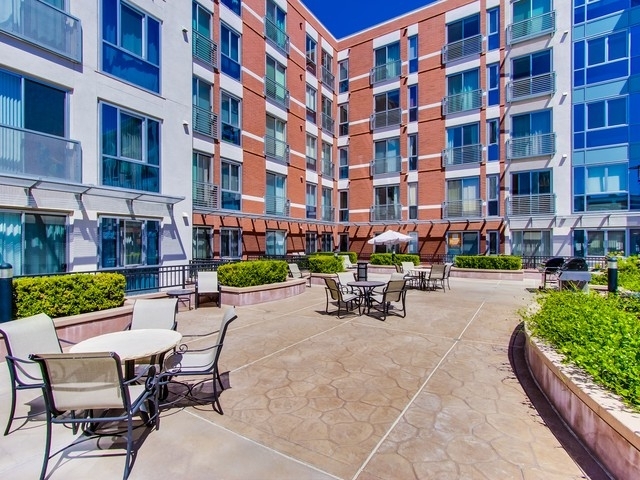 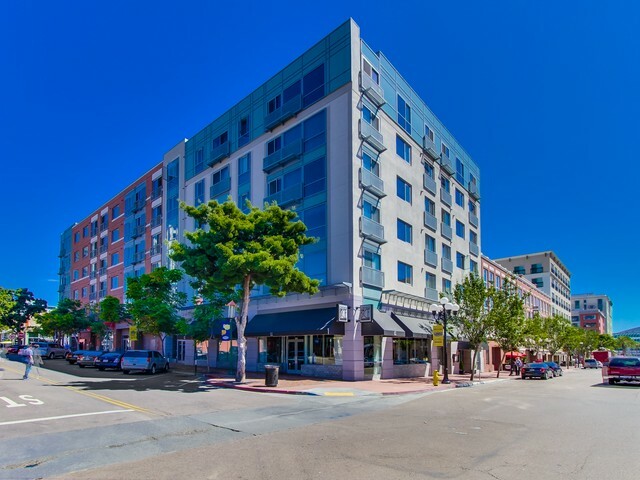 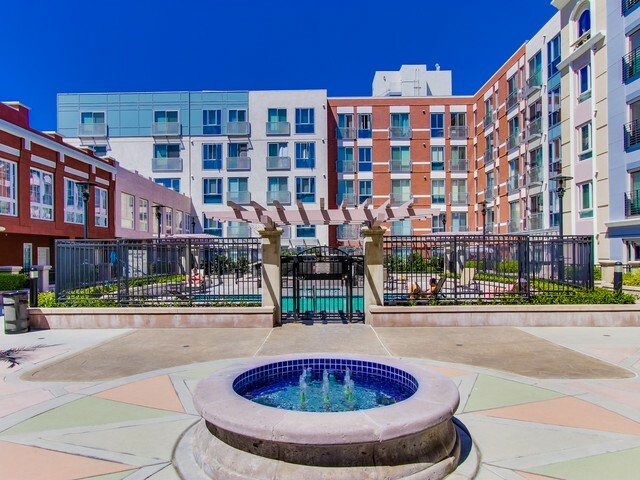 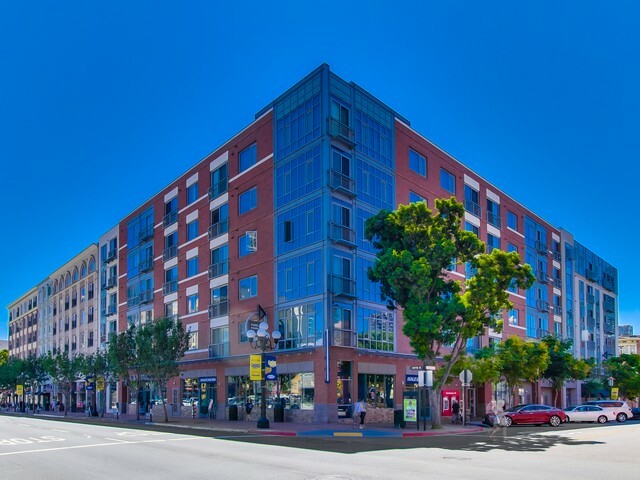 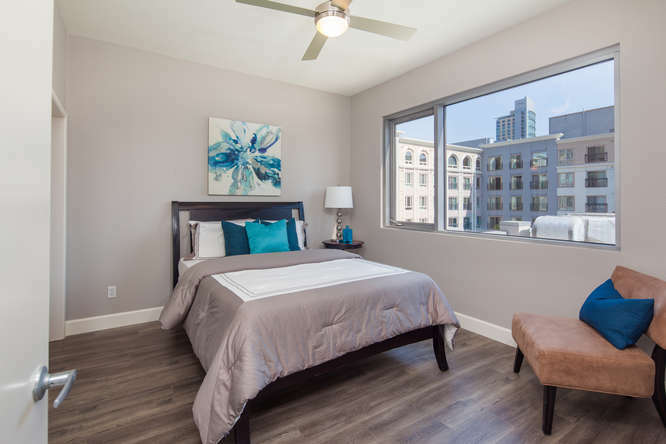 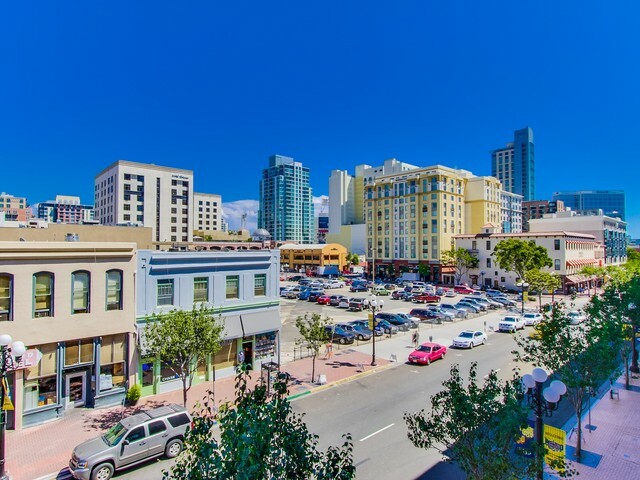 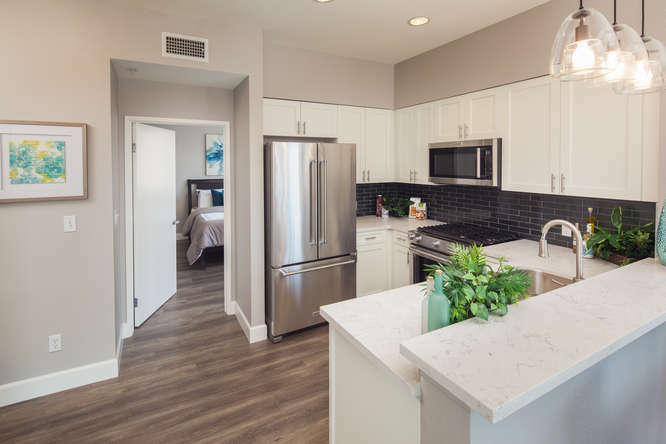 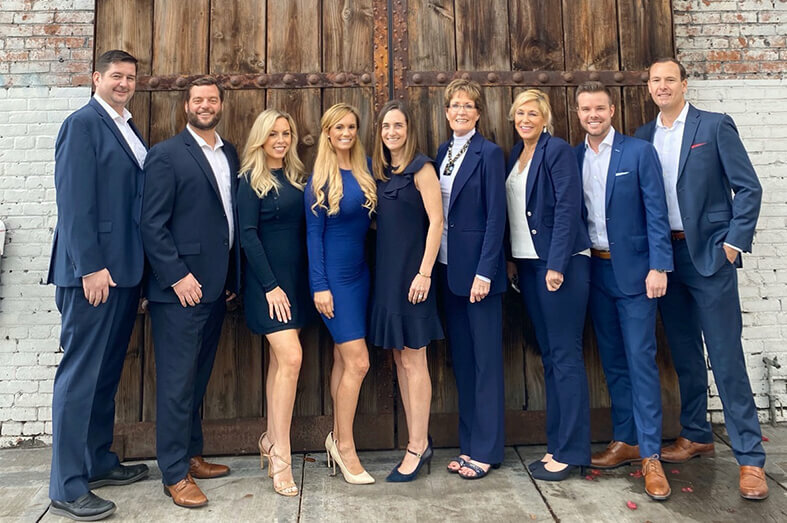 Encompassing the entire city block bounded by 4th and 5th Avenues and Island & J Streets, Gaslamp City Square Condos are located right in the heart of San Diego’s Historic Gaslamp Quarter. 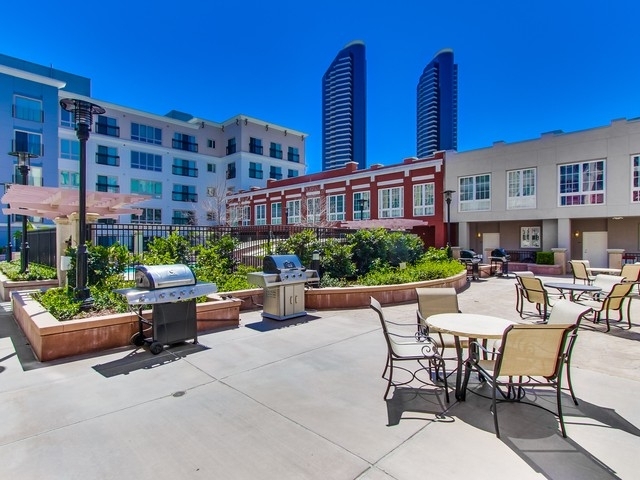 The energy runs high in this vibrant neighborhood located just 3 blocks from San Diego’s famous ballpark, Petco Park. Amazing shopping, dining and entertainment is literally just beyond the lobby doors. 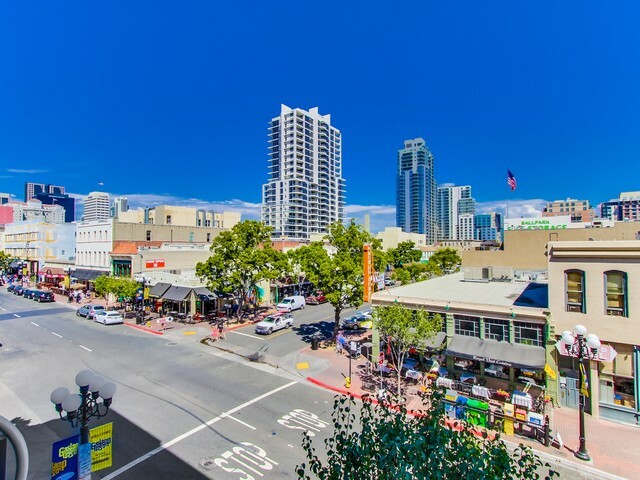 Located on the first floor of Gaslamp City Square San Diego are two fabulous restaurants, Red Pearl Kitchen and The Oceanaire. 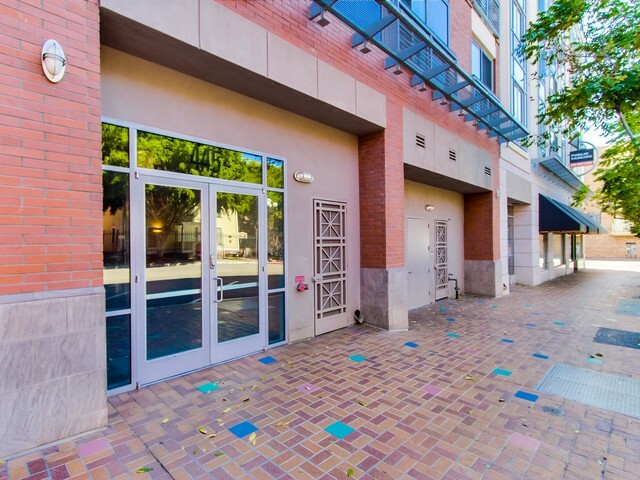 You’re also just around the corner from The Horton Grand Theatre and a short walk from Horton Plaza. 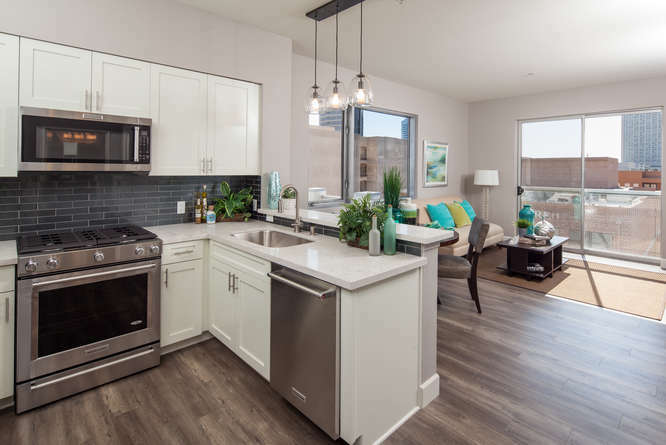 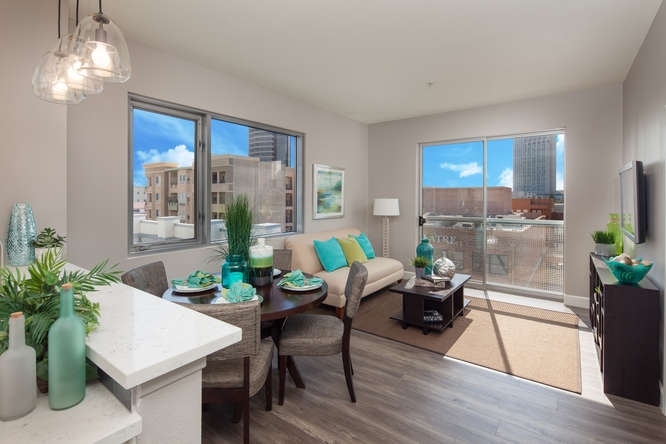 Gaslamp City Square floorplans include studios, one & two bedroom condos and two story townhomes. 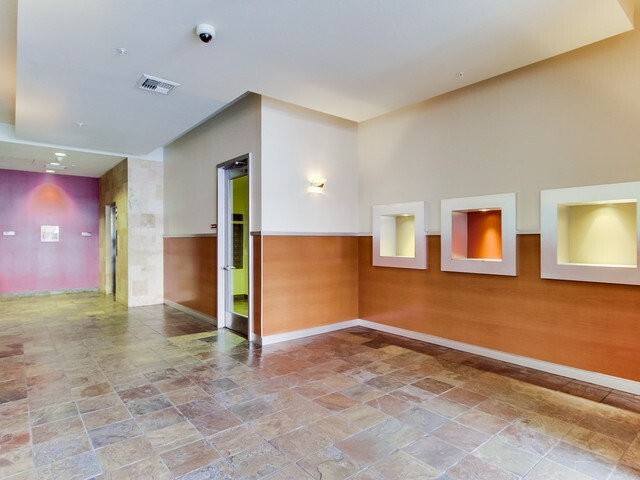 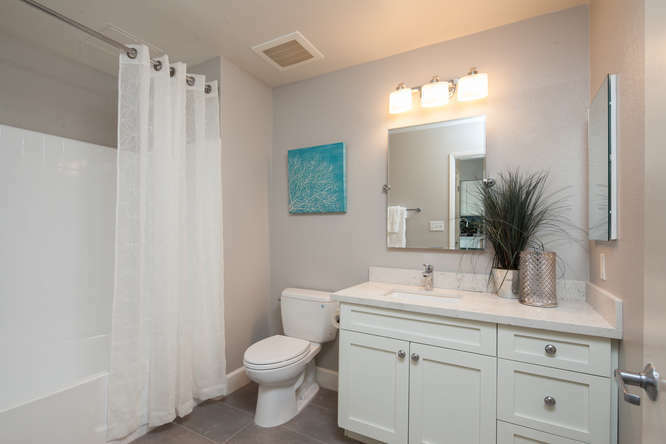 Sizes range from Approximately 448 sq/ft to 1256 sq/ft. HOA dues at Gaslamp City Square condos are low, ranging from $250-$500. 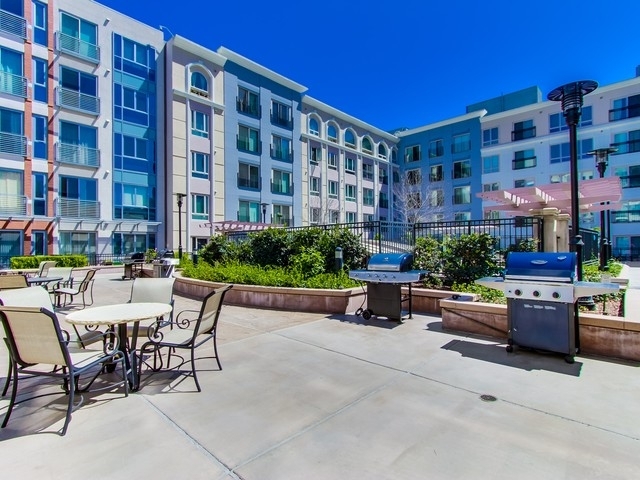 Amenities include a fitness center, pool, spa, sundeck, BBQ and outdoor seating area. 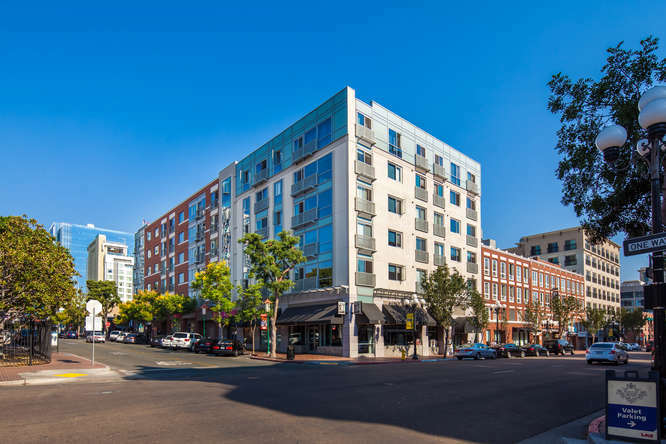 Gaslamp City Square’s entire 5th Avenue ground floor is comprised of retail space. 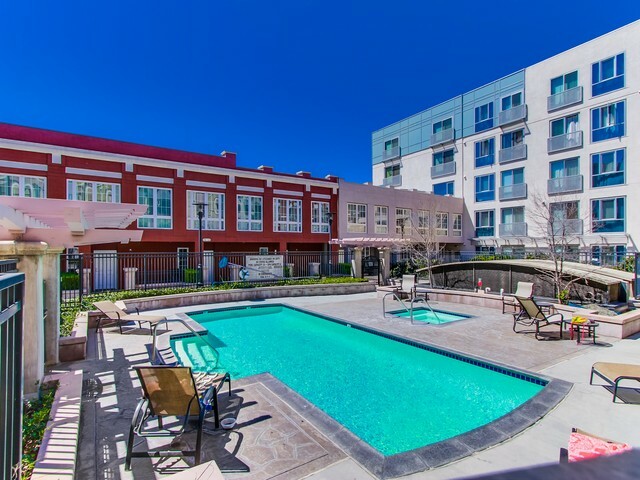 Pool, Spa, and sundeck with BBQ's and outdoor seating area.